I’ve been thinking quite a lot lately about what motivates me to write about movies. While I wouldn’t label myself a film critic, the act of writing criticism is still attractive. A recent viewing of Birdman revealed an unflattering portrayal of a theater critic with a different agenda than discussing the art. While the argument between her and Riggan is heavy-handed and obvious, it got me thinking about how I started down this path. Peter Labuza’s The Cinephiliacs podcast frequently covers this topic with critics, and there’s no standard route. My road began in 1993 with a choice between two classes during my senior year in high school. My options for an art elective were music or an introduction to film. I’m not sure why I picked the latter choice. I enjoyed movies but mostly as casual entertainment before that point. This decision would completely change my outlook on cinema. In the fall of 1993, the rise of DVDs and the Internet was still years away. Laserdiscs were available, but most viewings for me came via movie theaters and VHS. I’d watched some older films, but the idea of digging into the themes within the content was non-existent. When I stepped into my first film class, I had no idea of how much it would shatter the way that I viewed films. The teacher was an oddball with a giant mustache and beard who would chain smoke between classes. This was a private Catholic high school, so he wasn’t your normal instructor there. The guy was hyper-enthusiastic about movies, and that excitement was infectious to a certain type of student. I had done well in school but was never obsessive about studying. Most work came pretty easily, and a lot of it was boring. This class was something different. I looked forward to it and didn’t find the academic approach to movies dull at all. In fact, it was the most thrilling part of each day. To provide some context, my senior year also included calculus, theology, and physics. Having the chance to watch movies and write about them was amazing. Our textbook was an introduction to film genres, and the syllabus progressed through each major segment. We screened Stagecoach for westerns, Double Indemnity for film noir, and The Bride of Frankenstein for horror. This was my first experience with all of these titles. 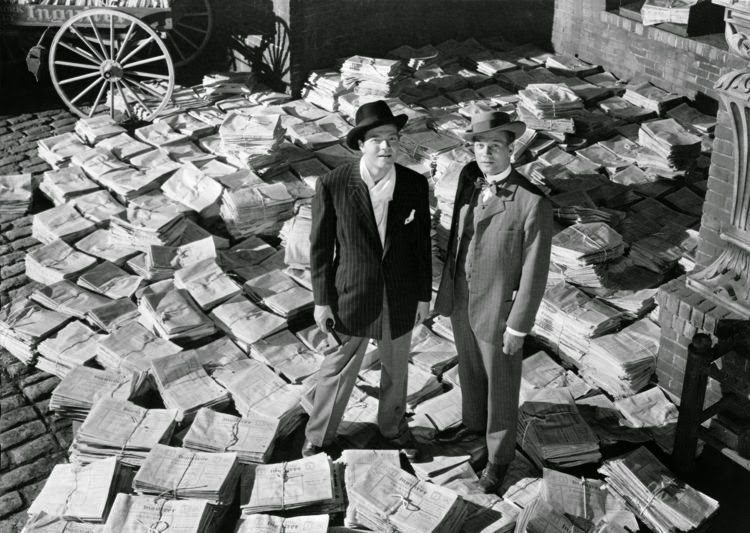 We also spent a lot of time discussing Citizen Kane. More recent pictures like Bonnie and Clyde and Unforgiven also were a revelation. I can’t think of a better way to gain a film education. I might have caught all of these movies on my own, but the push within school brought them to the forefront through conversations on their impact and meaning. Beyond just seeing these great movies, this experience caused me to see them differently. I spent classes scribbling countless pages of mostly illegible notes, which made me look a little crazy to other students. I couldn’t help myself! An invaluable resource like IMDB did not exist. I tried to capture everything and ensure that I could explain my thinking. I also loved doing it. When our teacher assigned us papers on modern films, I wrote long essays about Goodfellas and Aliens. The writing was terrible, but the important part was considering the movies beyond their basic text. The idea that an action thriller like Aliens was really about corporate greed was mind-blowing to a 17-year-old. 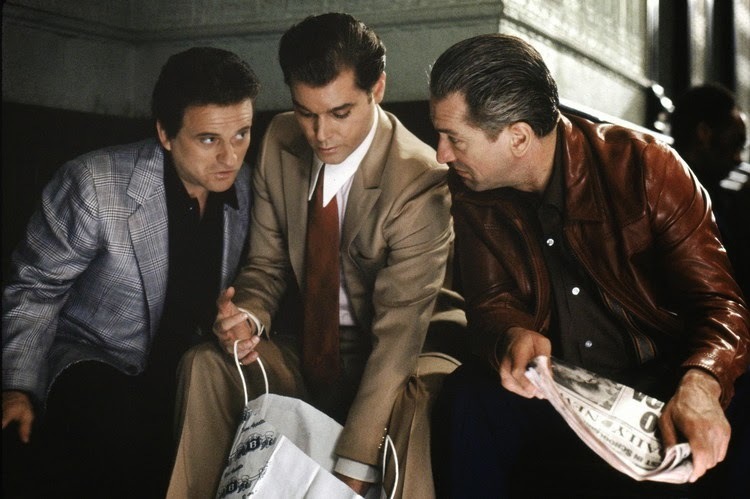 Scorsese’s use of music and editing in Goodfellas was like nothing I’d seen. I wanted to decipher more than the plots, and I haven't been able to turn off that side of my brain for more than 21 years. For the spring semester that followed, the same instructor taught a Modern American Literature class that focused on movies for about half the time. There was no doubt that I had to take this course. He considered films as literature and screened The Godfather, The Searchers, and others during class. It built on my enjoyment of the previous course and ensured that I wouldn’t stray from becoming obsessed with movies. I studied Journalism and English in college and used electives for additional film classes, including one on German film. That class included a completely silent and sleep-inducing viewing of Faust plus the great work of Wenders and Fassbinder. I wasn’t sure where all this time would lead, but I had no choice. Part of me wishes that I’d majored in film studies, though burnout would have been more likely. Taking a smaller group of classes kept the studies enjoyable while still providing a diverse look at the medium’s history. Film criticism has evolved considerably since it piqued my interest more than 20 years ago. There are so many online bloggers and podcasters that are trying to build an audience. It’s difficult to stand out, and putting yourself out there is difficult. How does anyone find a unique voice within so much chatter? I’ve considered stopping the blog and writing much less, but each time the drive that inspired me back in high school returns. When you’re drawn to any artistic pursuit, the goal is rarely just finding readers. The question is whether the passion for film criticism is enough to keep going. I’m unsure of where this site will go down the road, and changes will likely occur. Maintaining the excitement along with all the other aspects of life is a major challenge. For the moment, I’m just taking a minute to remember where the fun began. Where it will lead is anyone’s guess. We all sometimes need a break, so enjoy that. Thanks. I'm not sure it will be much of a break in terms of time. It's more about trying to figure out where I'm heading with the site. I'm glad you are planning on continuing with the site whichever direction you take. I love your writing and wpuld hate to not have new offerings from you. Of course, if and when you do shut it down it will have been a good run. Thanks. I appreciate the kind words and do plan on continuing. The goal right now is finding the balance and making sure that I'm enjoying it. I'm always fascinated to hear how other people got obsessed with film. Great story; I wonder if that teacher realized what an influence he had on you. Whatever you decide to do with the site, I'll be following. :) I don't comment enough, but I always enjoy reading your writing. Sometimes taking a break is the best thing to do, though, especially when you need to rebalance your life. I usually need a "detox" period when I'm trying to rebalance things, and it definitely helps things to shake out better when I return. I think the challenge right now is just balancing time. It's just one of those periods, but I'm still feeling good about the site. I'm not sure that I totally realized how much influence that class had at the time. It's easy to see it now, but back then it was just a fun class that was a lot less dull than the others. Glad you enjoyed it, Jordan. Cheers!